Ajax star Frenkie de Jong is a major doubt for Tuesday’s Champions League clash against Juventus after limping out of their 6-2 win over Excelsior on Saturday. It is unclear at this stage if the midfielder’s injury will keep him out of the trip to Turin with further tests required to reveal the extent of his problem. 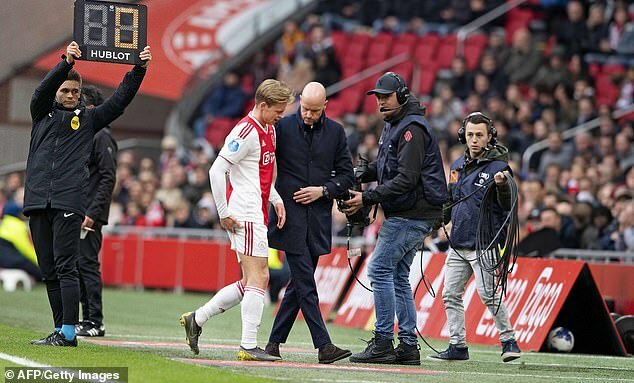 Coach Erik ten Hag said it was too early to confirm whether or not de Jong would miss the match but the initial fears are that he will. 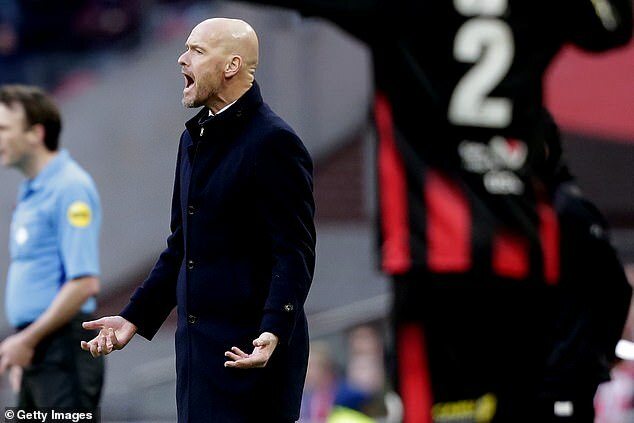 ‘He felt something wrong with his hamstring and so we took him off as a precaution,’ Ten Hag told reporters afterwards. De Jong’s omission would come as a huge blow for Ajax, who have it all to do after drawing the first leg 1-1 in Amsterdam. The 21-year-old, who moves to Barcelona at the end of the season, impressed during the first leg despite struggling with his fitness. He had also picked up a problem the week before the Juventus clash but managed to play the full 90 minutes in the draw. Saturday’s victory for Ajax put them three clear of PSV Eindhoven at the top of the Eredivisie, but their rivals can go level on points with them with victory over lowly De Graafschap.